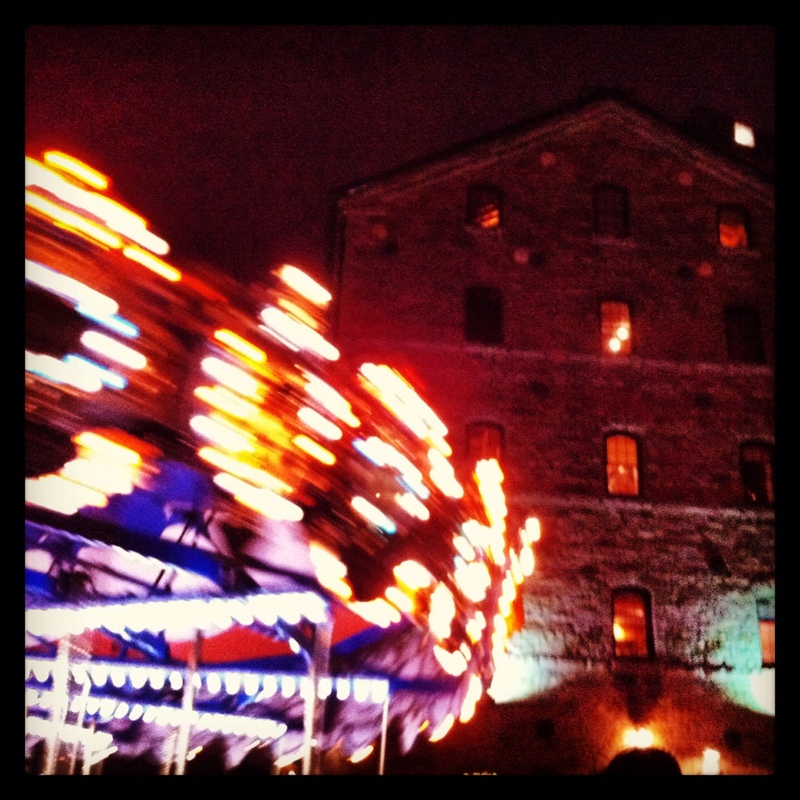 Distillery District | Kids in T.O. 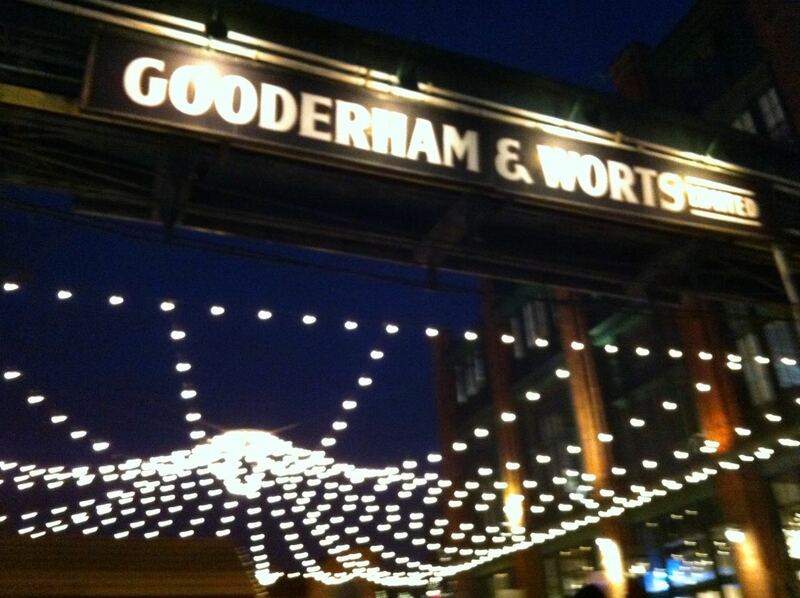 I want my family to enjoy the Distillery District as much as I do. And it’s no surprise that it is much loved by big kids (adults) since opening ten years ago. With the pedistrian-only cobblestone streets, cool restaurants, funky shops and galleries, it feels like you’ve travelled to a hip European city – if it weren’t for the Gardiner Expressway and GO Train right next door. Do enjoy without the wee-ones. But if you have Kids in TOw, read on for a few ways to keep the family happy. Festivals: The Distillery District is home to a long and diverse list of year-round events, so plan your visit according to what’s on. Check out some of last year’s festivals. One of the best is the annual Christmas Market. It’s magical at any age. Eats: For a sit-down adventure, a number of restos offer kid meals (and high chairs). Mill Street Brewpub and Beer Hall have a kids menu and El Catrin Destileria has a young amigos menu. Do enjoy the patios. Sweets: A must-stop is the Distillery’s very own chocolate factory SOMA. It is death by Mayan hot chocolate for this mama and kids love to watch the chocolate being made on-site. Balzacs (seated café), Brick Street Bakery (a few seats outdoors) and Sweet Escape Patîsserie (some indoor seating) have a delicious spread of pastries. For the cold stuff, indulge at Greg’s Ice Cream. Shop: If your kids can tolerate shopping (I’m jealous), you will be in heaven with this list of retailers. Some cater specifically to tots. Mini Mioche is a made-in-Canada kids and infant line of organic and eco-friendly clothing. Bergo Designs has kids toys and crafts. Lileo has high-end kids apparel. Distill has kids tees, hats and baby onesies. Potty time: Two public washrooms (one off Case Goods Lane and the other Tank House Lane – the latter has a confirmed changetable.) Changetables in men’s and women’s washrooms at the Mill Street Brew Pub and Beer Hall. Play: No playgrounds per se, but you may find some kids exploring the cool sculpture off Gristmill Lane.